ALTSO Rock For Good - October 26th! Friday, October 20, 2017 - If you haven’t already heard, ALTSO’s Hedge Fund Rocktoberfest is celebrating it’s 14th Anniversary this year at the Hard Rock Cafe in Times Square on October 26th and you don’t want to miss out! 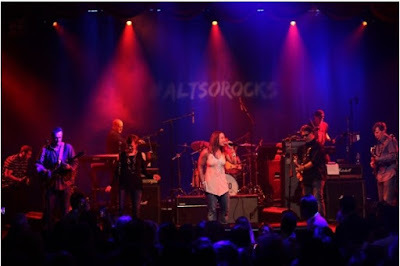 For more than a decade, Hedge Fund Rocktoberfest has gathered colleagues, friends, current and prospective clients for what has been recognized as one of the most unique, highly anticipated and effective events in the charitable and finance sectors. Hedge Fund Rocktoberfest on October 26, 2017 will gather 1,400 colleagues, friends, current and prospective clients for a night of rock & roll and acoustic music performed by industry leaders. A Leg To Stand On (ALTSO) is a 501(c)3 non-profit that provides free orthopedic care such as prosthetic limbs, mobility aids and wheelchairs to children with untreated limb disabilities in the developing world. ALTSO has provided treatment to more than 16,000 children across Asia, Africa and Latin America to-date!